Jazz Up Kid’s Glasses With Ficklets! 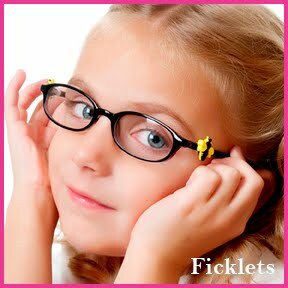 Home/Interviews/Jazz Up Kid’s Glasses With Ficklets! 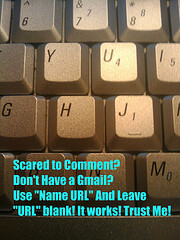 I have to say that I was reluctant to join Twitter. I used to think of Twitter as a silly place to read celebrity gossip. However, since joining I’ve met some really interesting people and especially fellow moms, one of whom is Ros Guerrero. Ros is the founder of Ficklets, a company that makes fun accessories that attach to kid’s glasses. Ros has a teenage daughter who has special needs. Her daughter inspired her to create Ficklets. She wanted to jazz up her daughter’s glasses. But wait…let me leave the rest to Ros. I’m originally from Guam, married to Roy for 16 and half years & have one child, Gem. We love to travel and because of my husband’s previous job, we had the opportunity to travel to Asia & Europe and have lived in the Philippines, Singapore and Dubai. I’ve always been interested in business – dabbled in real estate investing, co-owned a window treatment design and nail salon business, but my entrepreneurial spirit has soared like never before after learning about my daughter’s disability, which inspired my latest venture, Ficklets. 2. Tell us about your daughter. My daughter, Gem, is 15 years old and is mentally handicapped. We first learned about her disability when she was 3 years old, so it was important that I was a stay at home mom to help care for her special needs and demands. Gem is about 30% independent and requires full-time assistance and supervision. Realizing early on that Gem’s work opportunities would be limited, I wanted to create a business that would provide that for her and hopefully give her a sense of “normalcy”. Also, my long-term vision is that our business will provide and support a quality life for Gem after I’m gone. 3. How did you come to create Ficklets? What does the word “Ficklets” mean? Ficklets is a product I invented in 2007 inspired by Gem. Ficklets are patented interchangeable charm huggers for eyeglasses. Gem has worn glasses since she was six years old. I created Ficklets as a way to jazz up Gem’s plain, tired frames. Ficklets is a made up name derived from the word “fickle”, which means to “change often”. I came up with the name because it appropriately described how much fun Gem and I had changing out her charms. You can read more about how we got started here – http://ficklets.com/info.html. 4. How do you feel that Ficklets will help children who wear glasses? Initially, I created Ficklets as a way to give Gem’s plain, old frames a fresh and unique look. I also wanted to add some color & whimsy to make them more fun for her. When I launched our website, I started receiving messages from moms saying how Ficklets helped improved their kid’s attitude about their eyeglasses. One mom shared this heartwarming message – “You are my hero! Your Ficklets are THE one thing that makes my four-year-old WANT to wear her glasses! ….”. I didn’t wear glasses as a child, but I’ve learned that for many kids eyeglasses can be quite unpleasant & awkward. It’s gratifying to know that Ficklets helps children feel more comfortable in their eyeglasses and makes the whole experience more enjoyable. 5. Where can we learn more about Ficklets? If you are interested in purchasing Ficklets for your child, here is a coupon! *Special offer from Ros to OS/NS Mom Readers: 25% off purchases using code – SF2010. 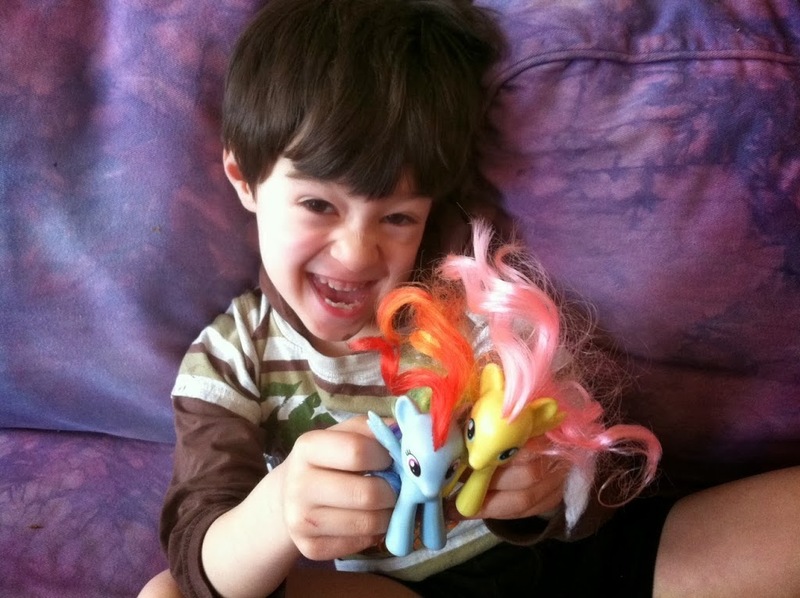 By Sarah Fader| 2014-04-06T02:01:24+00:00	August 15th, 2010|Interviews|Comments Off on Jazz Up Kid’s Glasses With Ficklets!